Activist and documentary film maker Michael Moore says that if the world could see the damage done by the assault rifle bullets to the little six-year old bodies at the Newtown massacre, Americans would send the NRA (National Rifle Association) packing. Moore believes that the shocking photographs of black victims of white supremacists is what led to the Voting Rights Act in 1965, that the avalanche of horrid images of massacred Vietnamese civilians by US soldiers is what turned the American public against the Vietnam war, and that “after the children’s massacre in Newtown, the absolute last thing the National Rifle Association wants out there in the public domain is any images of what happened that tragic day.” It’s not because publishing them would be considered insensitive. It’s because seeing the blown-apart bodies, recognizable to parents only because of their clothing, would enrage the public. 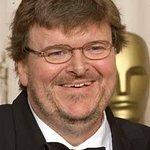 On the 10th anniversary of the evening that his documentary on gun violence, Bowling for Columbine, won an Academy Award, Moore is calling for people nationwide to screen the film in their homes with friends and family on 23 March. After the screening, Moore will appear live via the web in those living rooms to take questions and suggestions and discuss what can be done. Click here for information on hosting a Bowling for Columbine House Party and Discussion.